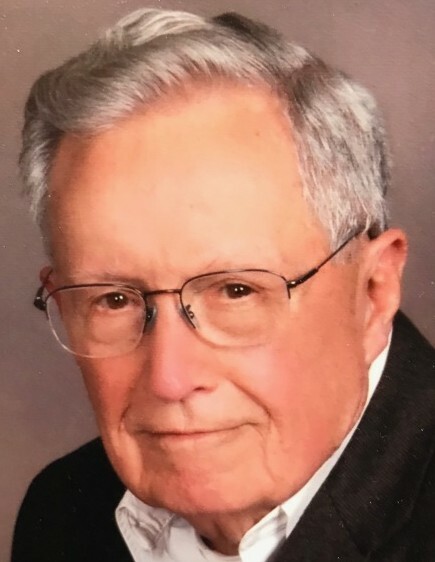 Dana Paul Corey, age 84 of New Concord, KY, died Wednesday, April 3, 2019, at his residence in New Concord, KY. He moved to Paris in 1966 from Saint Louis, MO, with Emerson Electric. He retired after a long career with Emerson that spanned for over 40 years. Dana was a longtime, faithful member of First United Methodist Church in Paris where he was a member of the Ambassadors Sunday school class. 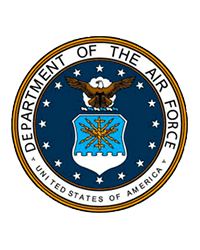 He was a U.S. Air Force veteran and a master woodworker who could build anything with his hands. He enjoyed reading, working Sudoku puzzles, and going to Playhouse in the Park in Murray. Dana loved to travel with his wife anytime and anywhere. He loved his family, especially his children, grandchildren, great grandchildren, and great-great grandchildren. Dana was truly a remarkable person in every sense of the word and will be missed by many. Dana was born April 8, 1934, in Saint Louis, MO, to the late Dana Paul Corey, Sr., and the late Dessie Hampton Corey. He was married July 8, 1972, to his wife of 46 years, Dora Corey, who survives, of New Concord, KY. Along with his wife, he is also survived by three children, Rick (Noi) Knott of San Antonio, TX, Keith (Denise) Corey of Paris, TN, and Craig (Corrie) Corey of Virginia Beach, VA; one son-in-law, Louie Williams of New Concord, KY; three sisters-in-law, Brenda (Glen) Stubblefield of New Concord, KY, Loretta Meador of New Concord, KY, and Marsha (Don) McClure of Murray, KY; six grandchildren, Mary (Fred) Diehl of San Antonio, TX, Richard (Aly) Knott of Myrtle Beach, SC, Regina (Greg) Collins of New Concord, KY, Bryan (Lori) Williams of New Concord, KY, Brent Corey of Paris, TN, and Kristen Corey of Paris, TN; and eight great grandchildren. In addition to his parents, he was also preceded in death by one daughter, Judy Williams. Arrangements will be handled by Ridgeway Funeral Home, 201 Dunlap St., Paris, TN, 38242. The body is to be cremated. Memorial visitation will be Saturday, April 6, 2019, from 12:00 pm to 2:00 pm at Ridgeway Funeral Home, with the memorial service to begin at 2:00 pm at LeDon Chapel of Ridgeway Funeral Home, with Joe Hansen officiating. Honorary pallbearers will be all members of the Paris First United Methodist Church Ambassadors Sunday school class. A private family burial of cremains will follow the memorial service. In lieu of flowers, the family has asked memorials may be made to: McCuiston Cemetery Maintenance Fund, c/o Glen & Brenda Stubblefield, 84 Cypress Trail, New Concord, KY 42076 or First United Methodist Church, 101 East Blythe Street, Paris, TN 38242.